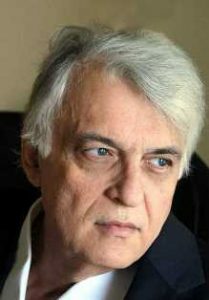 Pancrazio’s legacy: the literary shaping of a novelist from our guest writer Marius Gabriel. My parents’ house was full of books, thousands of them; and I have belonged to many public libraries in different countries. But two particular libraries shaped my mind more than any others. The first was in Villa Valverde, in Sicily, where I spent part of my childhood. The Villa Valverde was a pensione which had been built by my paternal grandfather, Pancrazio Cipolla. He’d spent decades working in London hotels, rising from waiter to manager. He took his savings back to Taormina and built Valverde around 1910, as a luxurious retreat for British tourists. It had all mod cons, including a library of English books. These had all been supplied by a publisher who specialized in such things, and were in a uniform edition of brown leather with gold tooling, proudly stamped with the hotel name and crest. The books were all Victorian and masculine – Sir Walter Scott, Charles Kingsley, Conan Doyle, Fennimore Cooper and the like. It was here I met Dracula, and Frankenstein’s monster, and Amyas Lee, and Sherlock Holmes and Natty Bumppo, and the ‘Man Who Would Be King.’ Rather heavy going, since I was not yet ten, but I swallowed it all down in huge draughts. The second library was at my high school, when my peripatetic parents took us from Sicily to South Africa. It was in a decaying part of the school that has long since been knocked down (we used to spear rats there during break, with compasses tied to rulers). The collection itself was large, and consisted mainly of bequests from Old Boys, some of them dating back to Edwardian and Victorian times, and smelling strongly of tobacco and damp. No attempt had been made to catalogue or filter this heterogeneous collection. They were simply in alphabetical order according to author. In my six years there, I must have read almost every volume. I lugged home bound editions of Punch dating from the 1850s to the First World War, which was where I began to pick up what little modern history I know (and developed a fondness for weak jokes.) I found, and read with wide eyes, Henry Miller (an education of a different kind), Colette (I had to ask my mother what a Lesbian was) and D.H. Lawrence’s Lady Chatterley (nothing left to the imagination there). I read fusty old copies of Sheridan le Fanu, H. Rider Haggard, Sax Rohmer and Robert Louis Stevenson. 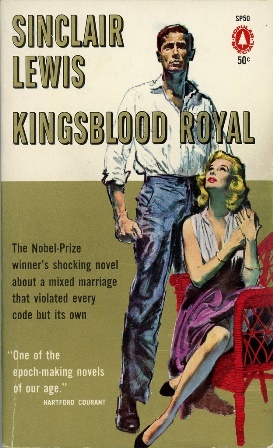 I ploughed my way through novelists popular in the 20s, 30s and 40s: Sinclair Lewis (I must have read Kingsblood Royal a dozen times), Thornton Wilder, Edgar Wallace; Pearl S. Buck, John Steinbeck (I adored him), J.B. Priestly (very heavy going), Daphne du Maurier, A. J. Cronin, H.G. Wells (where I learned what socialism was); Robert Graves (also pretty hot stuff) and Somerset Maugham. I read voraciously, sometimes a book a day. I read at night, under the sheets, with a flashlight, till two in the morning. I read on the bus to and from school. I read on the toilet and at the supper table. I read without even knowing why I read at times, so long as the words on the page held me. Marius is the author of eight sagas and historical novels, including the best-sellers The Mask Of Time, The Original Sin, and The Seventh Moon. Cosmopolitan accused him of “Keeping you reading while your dinner burns”. Born in South Africa in 1954, he has lived and worked in many countries, and now divides his time between London and Cairo. He has three grown-up children. You may also be interested to read Marius’s GoodReads page where he also writes a blog. If you like cooking Marius is the man for you. Baking bread being a speciality. P.S. Marius served his author apprenticeship as a student at Newcastle University. To finance his postgraduate research, he wrote 33 Mills & Boon romances under a pseudonym. His identity as a man had to be kept secret until he turned to longer fiction under his own name.